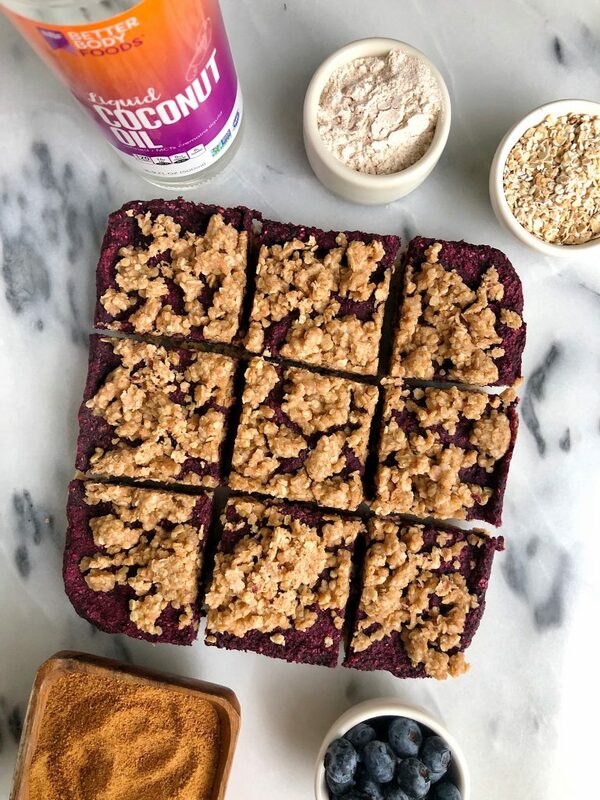 Blueberry Oatmeal Crumb Pie Bars made with vegan, gluten-free and nut free-friendly ingredients for and easy and delicious blueberry dessert! A new dessert is here friends. And for once it doesn’t involve chocolate (shocker, I know). 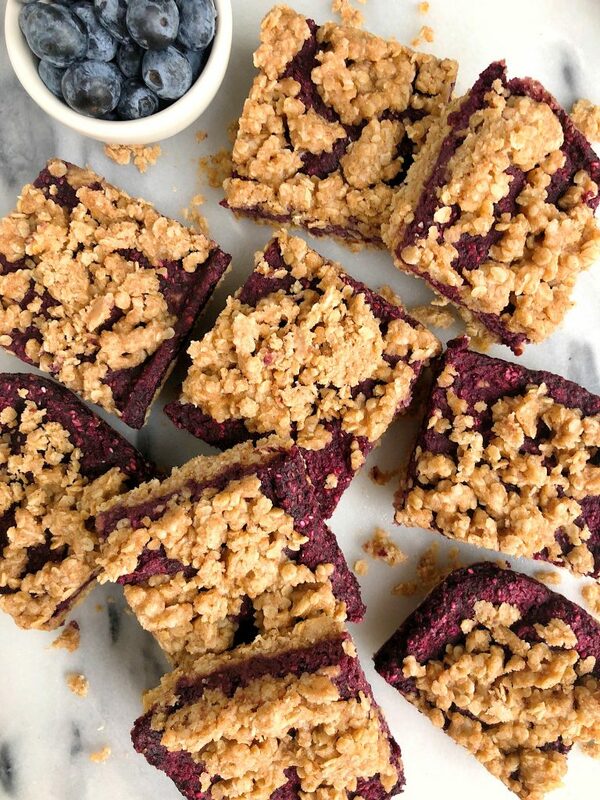 These Blueberry Oatmeal Crumb Pie Bars are absolutely insane and they’re perfect for summer with all the fresh organic juicy blueberries around. But let’s be real, I will be making these all year around. I’m not usually one to crave fruity desserts unless it involves banana aka because then it involves chocolate. But these blueberry pie bars are hands down one of the best desserts I have made in awhile. I wish I saved them for my book but lucky you, you will get them on the blog. This recipe is completely plant-based, gluten-free and nut free-friendly. Plus it doesn’t require a million different ingredients. If you are a usual reader of the blog or like to cook healthier recipes, you will likely have all of these ingredients on hand. When Jord came home from work and saw these bars on these Blueberry Oatmeal Crumb Pie Bars on the counter, he said “uhh are these fair game?”. Usually I am forcing him to eat dessert with me but with these he was voluntarily asking (I call that a win). I use a variety of ingredients like sprouted oats, almond flour or oat flour and fresh or frozen blueberries to make these. We also use a variety of Better Body Food’s products in this recipe. I use their coconut flour, chia seeds, coconut sugar and coconut oil. These are staples in our pantry and my recipes. I love all of Better Body Food’s products. They are organic, made with wholesome ingredients and are the best to have on hand for baking or cooking anything! There are a handful of other recipes here on the blog that feature their goods! If you make these bars, I recommend storing them in the fridge and warming up when you eat. They last longer in the fridge (about a week) or even longer in the freezer. 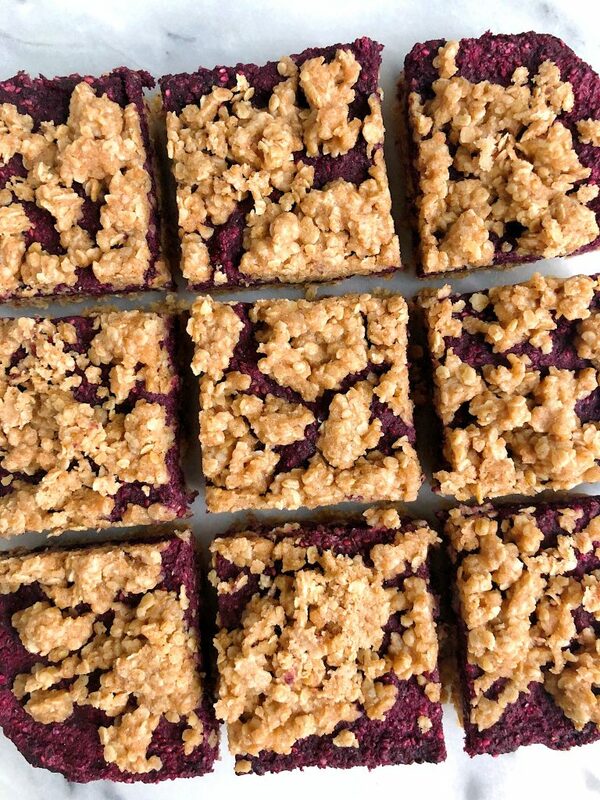 Don’t forget to share your Blueberry Oatmeal Crumb Pie Bars with me on social! Store in fridge for up to a week or freeze for longer! Thank you Better Body Foods for sponsoring this post! It means so much to me to work with brands I love and believe in! What size baking dish do you use? Excited to make this recipe!! What could I substitute for chia seeds in this recipe? i haven’t tested this without but maybe flax seeds? it does something of a small seed.